Whether you're a lover or a hater, there's no denying that pink is the color of 2016. 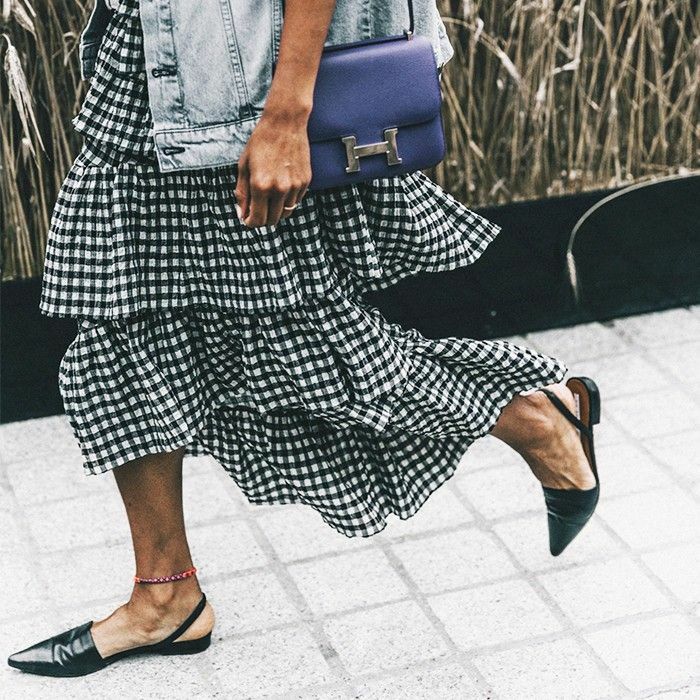 The color that once was relegated to Elle Woods, has had a resurgence among the fashion crowd, creeping its way onto the runway, and into the wardrobes of many of our favorite street style stars. Instead of feeling overly girly or precious, this time around, there's just something about the way we're wearing pink that feels–dare we say it, cool. If you're finally feeling ready to let a little rose, peach, or blush into your life, we're here to help you. These simple style tricks make wearing pink feel totally acceptable, even for those of us who are averse to anything that can skew too cute. Play by the seven rules below, and instead of pretty in pink, you'll be the coolest chick around. Read on for our guide to pulling off pink, no matter what your style may be! 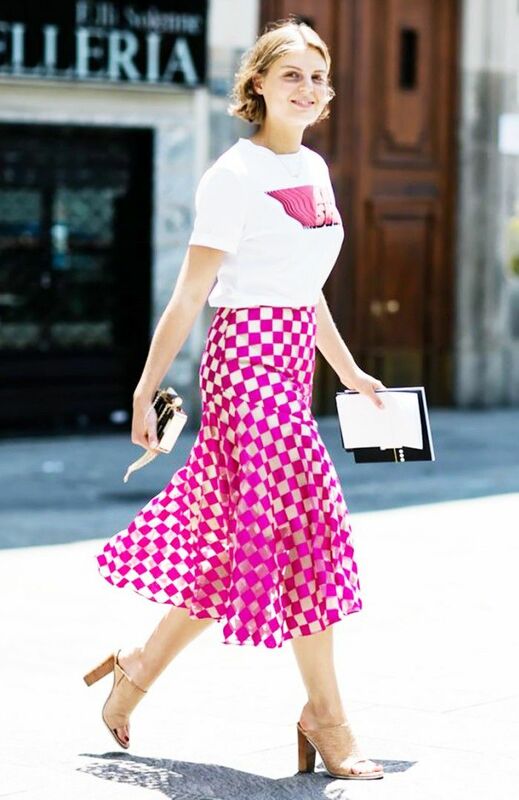 To balance out the femininity of a pretty pink skirt, try styling it with a casual, cool T-shirt. If you consider yourself particularly averse to the color pink, try adding dustier or peach-tinged spins on the hue to your wardrobe instead of something more shocking. To help break up the color, try pairing it with cool colors like greens or blues. We favor a more laid-back look when it comes to wearing pink. A slouchy blouse is a great way to incorporate the color into your wardrobe without it feeling too fussy. Masculine meets feminine when you contrast a pink sweater with menswear-inspired styles like a blazer. To help break up a head-to-toe pink look, opt for something with an eye-catching pattern, like these floral pajamas. With the rise of athleisure, there's no easier way to dress down a pretty pink dress than by pairing it with a sweatshirt or sporty top (bonus points if you finish the look off with sneakers). Ready to lean in to wearing this pretty hue? Check out more pink-tinged street style inspiration!